Over the years Denver has boasted many fine restaurants, yet they come and go. Two that have stood the test have a story to tell. In this edition, the Bonnie Brae Tavern. An outing to the Bonnie Brae Tavern always brings about more sign-ups than our Clermont Park Life Plan Community bus can accommodate. Their pizza is the best, and the rating of the eatery is 4-1/2 stars! The tavern is unique in that it has maintained one of the longest continually owned and operated family businesses in Denver. It opened for business in June 1934 by Carl Dire. Carl was orphaned as a child and had the determination to make something of himself. He learned to be a fine mechanic, married, and had two sons. In the early 1930s via a lottery he won a 25-foot lot in the 700 block of South University with the stipulation that he purchase the adjoining lot for $50.00. He saw that as an opportunity to leave his North Denver abode, establish his own gas station and use his mechanical training, which he did. Then, with the repeal of prohibition, he decided to abandon the “garage,” tear it down and build a tavern. Although he’d had no training in food service he ventured out with one pound of hamburger, a keg of beer and a few bar stools and opened the tavern for business. Mind you, this was in a noted “dry” neighborhood. But he was patient and the people came. Carl was able to purchase lots behind the tavern and built a home for his family. Business thrived; he doubled the size of the dining area and began featuring pizza. Carl died in 1982 and his two sons, Mike and Hank, took over the management and continued pleasing the customers. 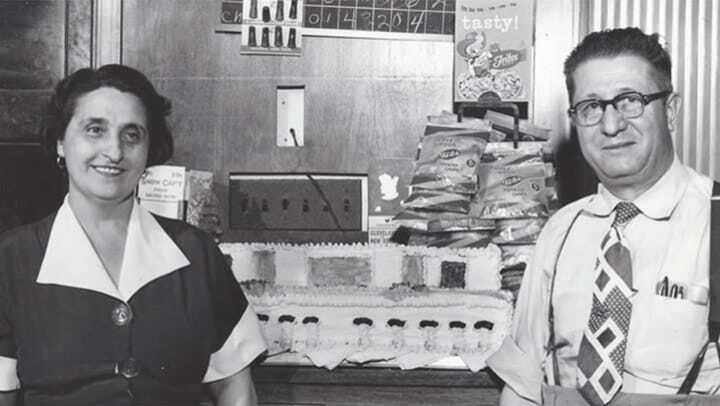 Later, their retirement brought each of their sons into the business and today we find they are continuing the tradition of serving quality food. Mike’s grandsons are working there as well. The tavern offers a relaxed atmosphere and kids are always welcome. We’re happy to have Mike Dire as part of our Clermont Park Community.